"There was no where to turn." 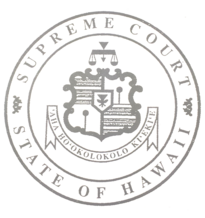 The Attorneys and Judges Assistance Program was established by the Hawai'i Supreme Court Rule 16 to provide immediate and continuing assistance to attroneys, judges, and law students who suffer from disability or impairment which affect their professional performance for any reason. Under HSCT Rule 16, any information the AAP receives is confidential and privileged.